I love interior design, decorating, and fashion (although it’s been hard to keep up with trends now that I’m busy being a mommy for two). 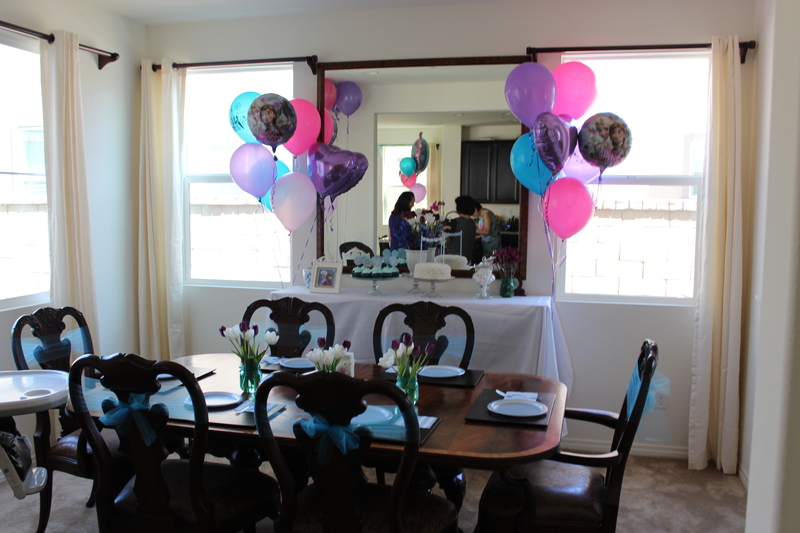 So I was pretty excited about planning the decorations for Katelynn’s first birthday. 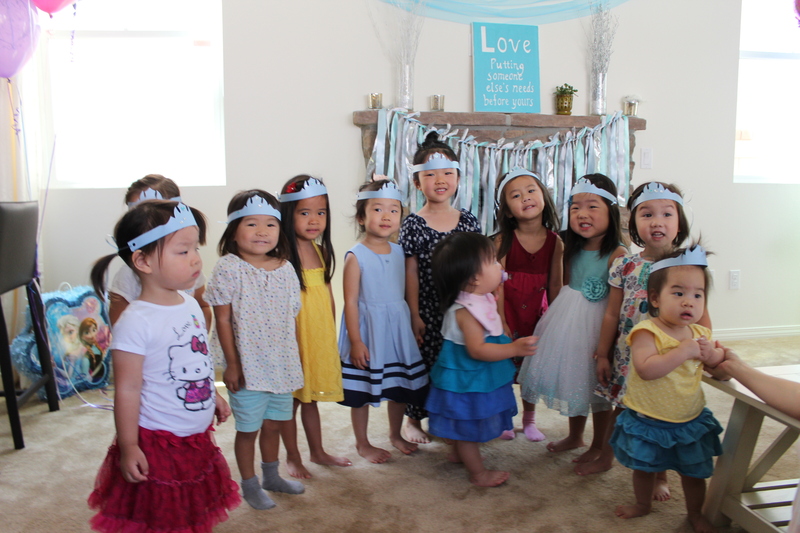 It’s all about the little details coming together to create a themed party. 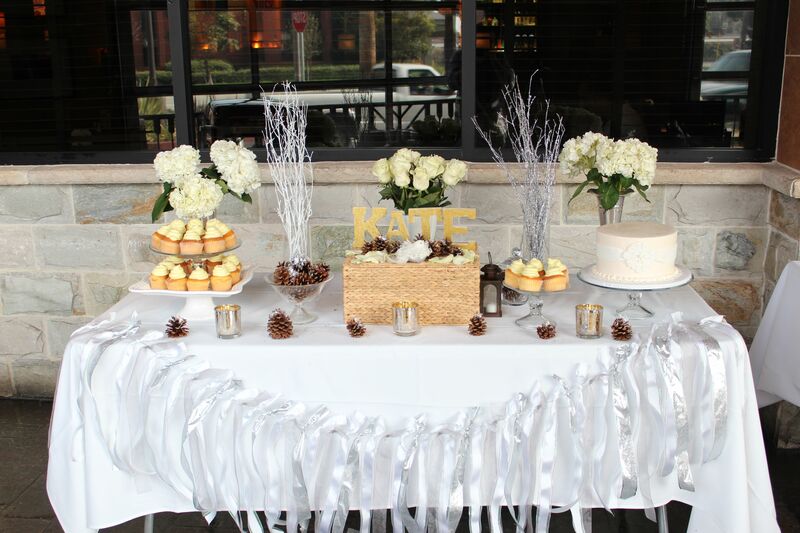 I decided on a white, silver, gold winter wonderland theme for Katelynn’s party since she was born early January. 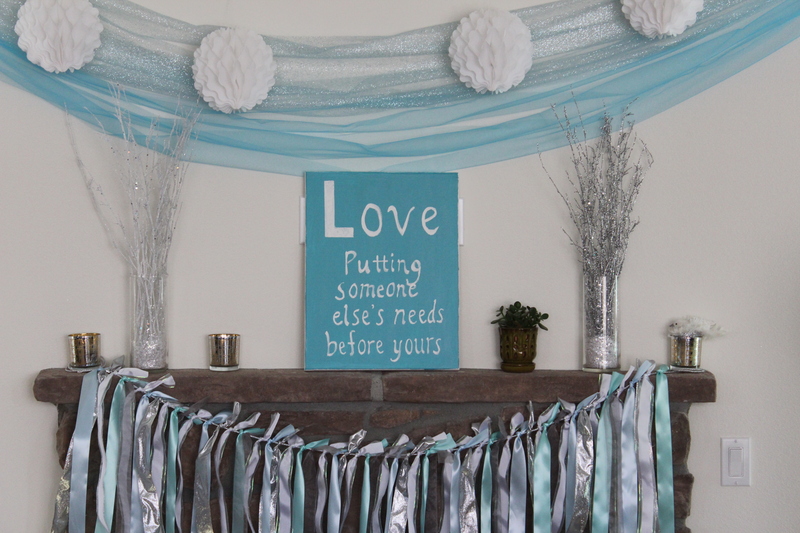 Ribbon banner – I used silver twine and tied white, silver and gray ribbons for a clean, wintery look. Pine cones – Pine cones are classic symbols of the winter theme. I simply accessorized the table by scattering pine cones and sprinkled some fake snow on them. Gold candleholders and lantern – I got these cute candleholders and lantern as presents and never really used them till now. Candles and lights always create a romantic aura and the lantern was perfect to incorporate the winter theme. 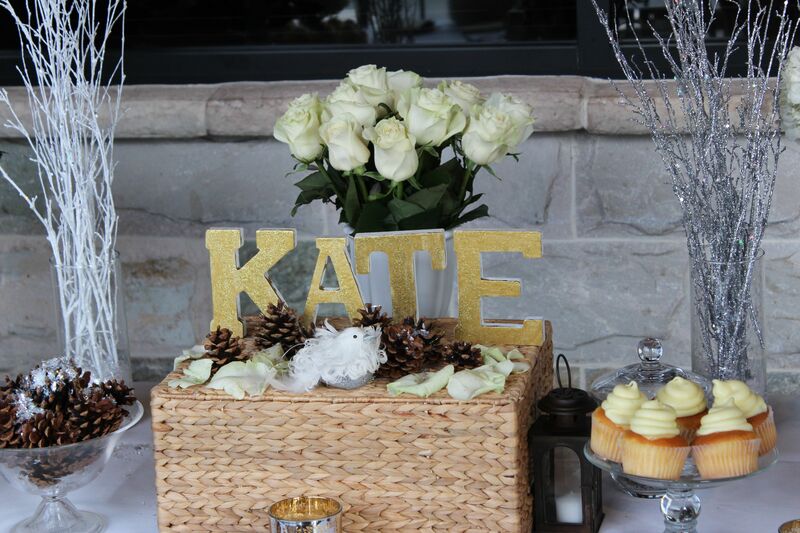 KATE letters centerpiece – Michael’s sells white wooden letters. I painted the letters with gold and then painted a layer of gold glitter on top for a fun, glamorous look. Rustic stand for the letters – I wanted to make sure to elevate the KATE letters so that it would be the centerpiece of the table so I flipped a storage crate over and used that as a cute, rustic stand. 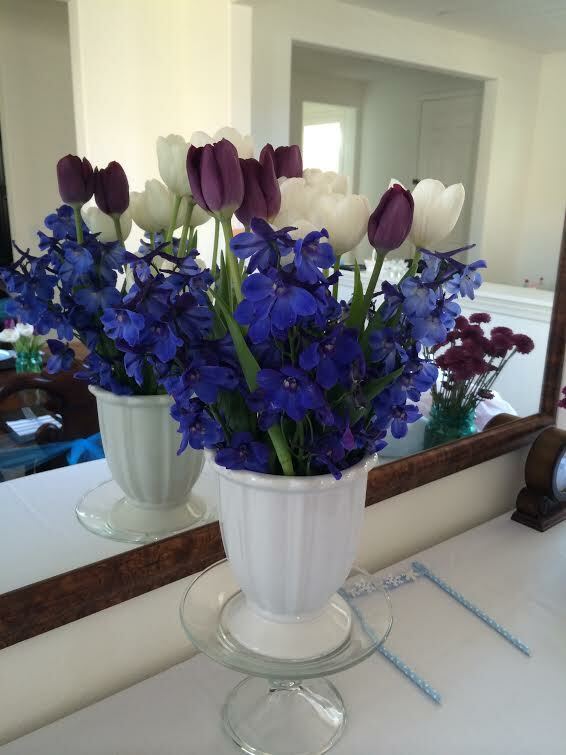 Floral decor – Fresh flowers always brighten up a room. I used white roses and white hydrangeas to complete the winter look. 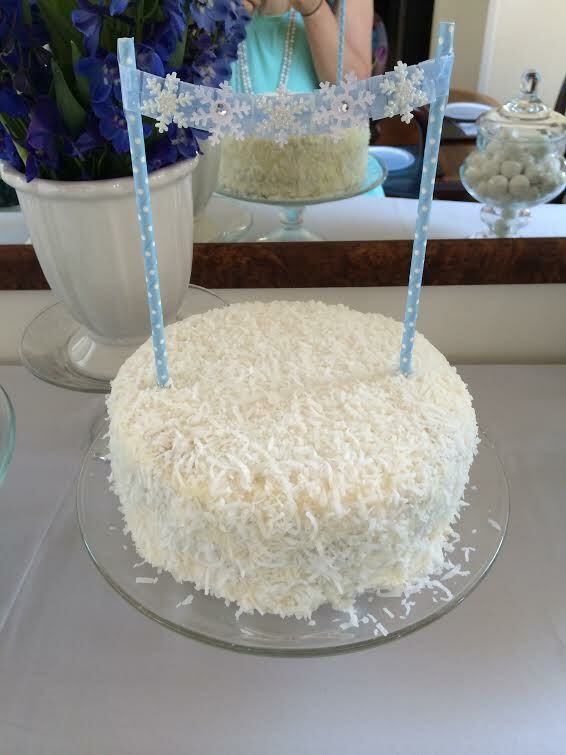 I also got some silver and white wintery branches from Party City and placed them in clear vases with fake snow inside. 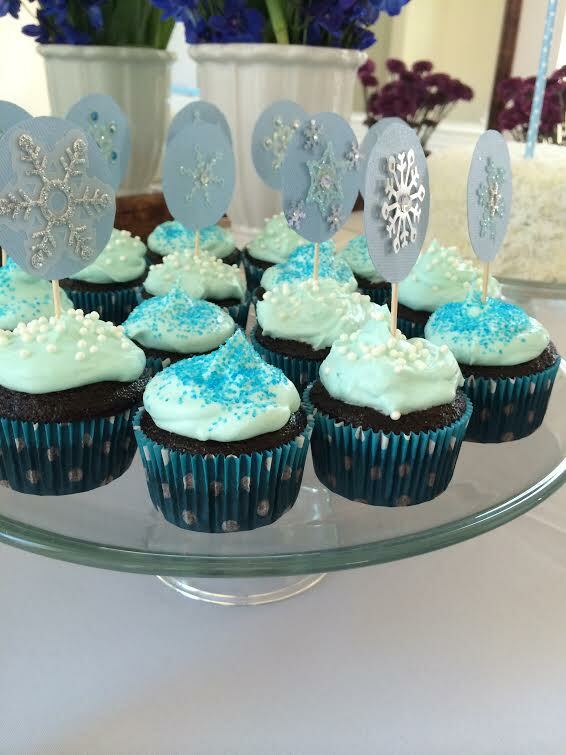 Cake and cupcakes – I kept it simple with an ivory cake with an adorable snowflake design and lemon cupcakes from Hotcakes Bakery. Winter bird figurine – I found this adorable winter white bird figurine at Michael’s and used it as a an accent piece in front of the KATE letters.